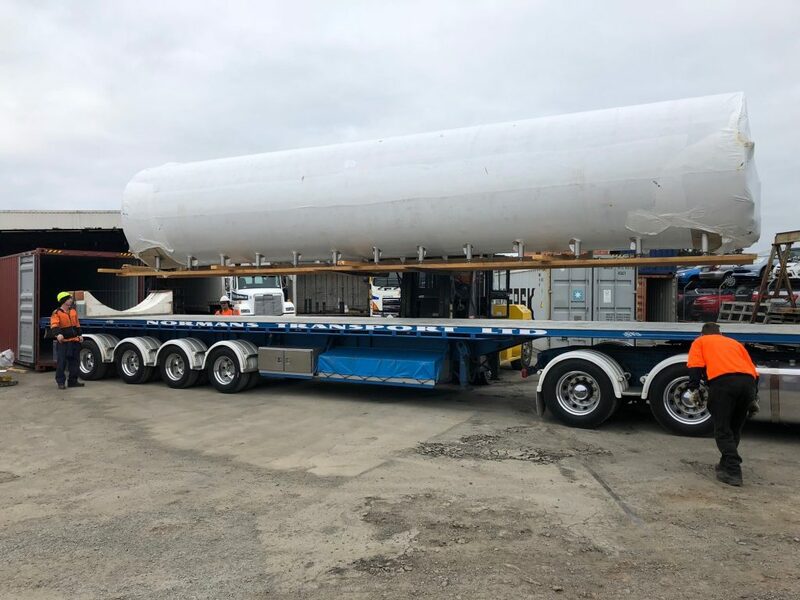 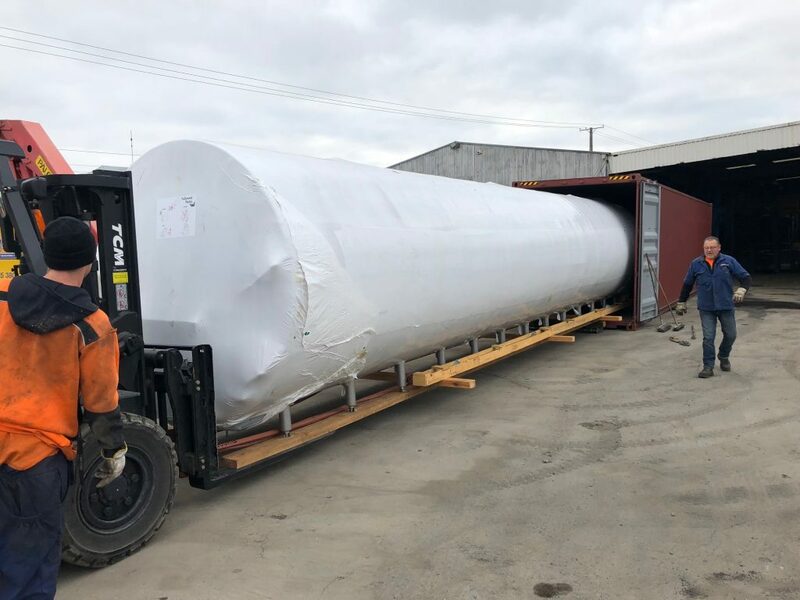 Largest Packo Horizontal Milk Tank arrives! 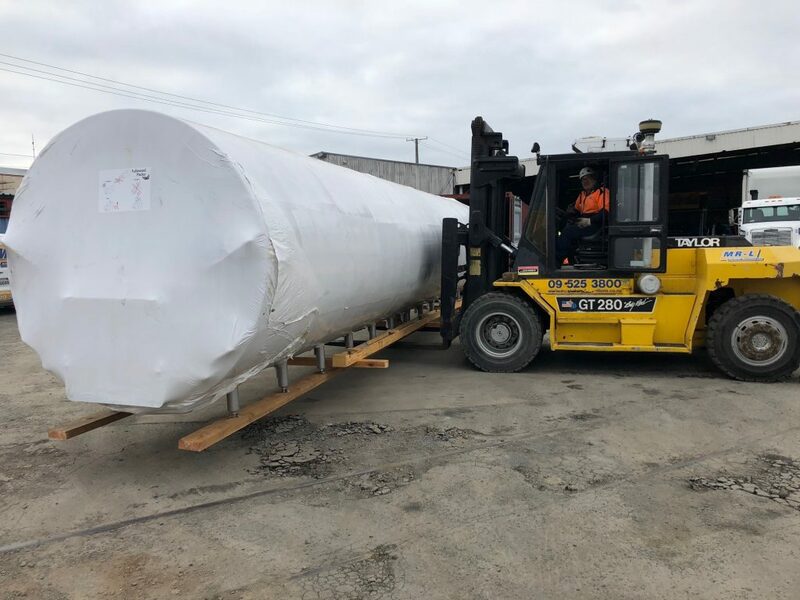 Recently DCS supplied the largest Packo Horizontal Milk Tank to Sika Farms, Central North Island. 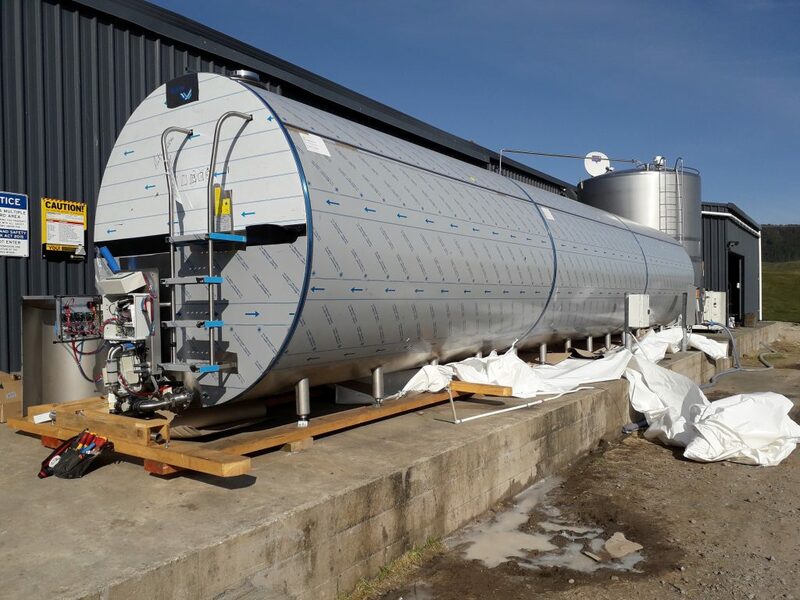 The 31,600L milk tank is the longest tank manufactured by Packo, and only just fits into a 40' container. 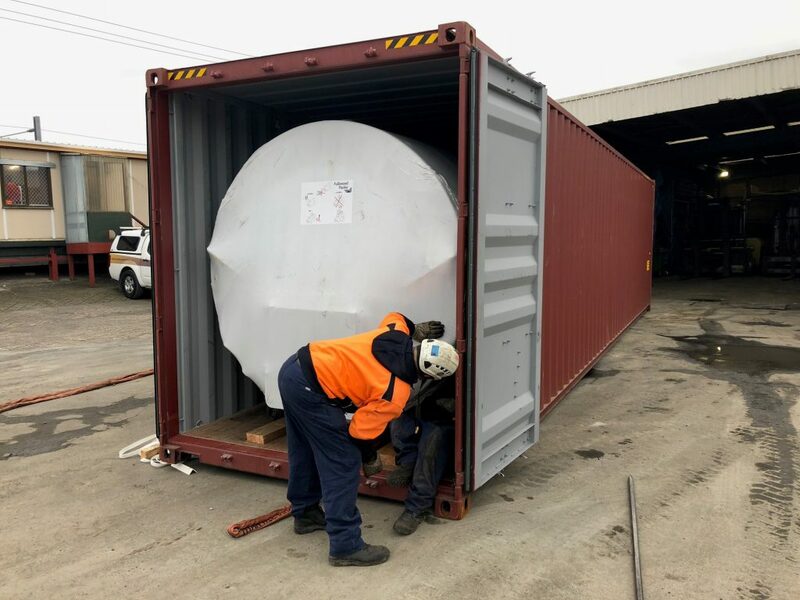 Shrink wrapped and well protected it was gently extracted from the shipping container before being loaded onto its transporter to Taupo. 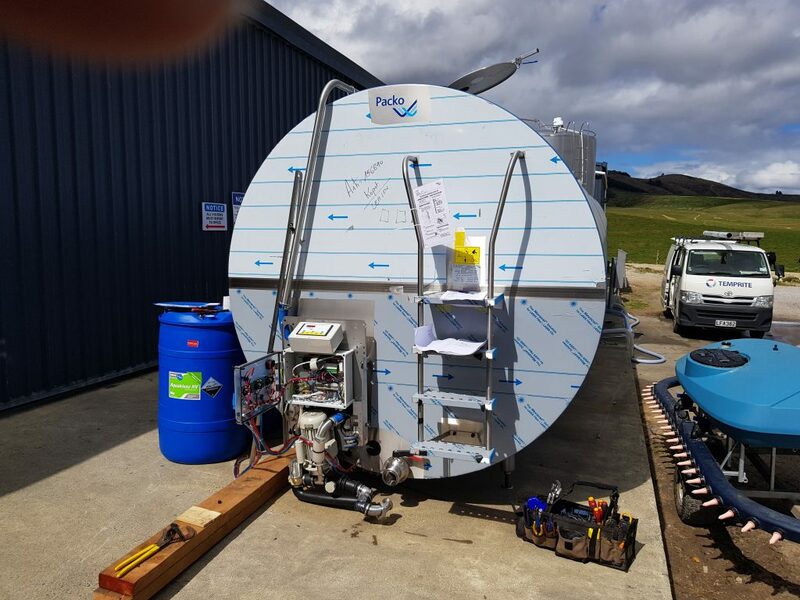 Now onsite and unwrapped, the refrigeration system is connected and operational and the DCS team are just waiting for the dairy plumbing to be completed for final commissioning of the CIP System later this week.